Valparai had been amazingly kind and generous to us on this trip. 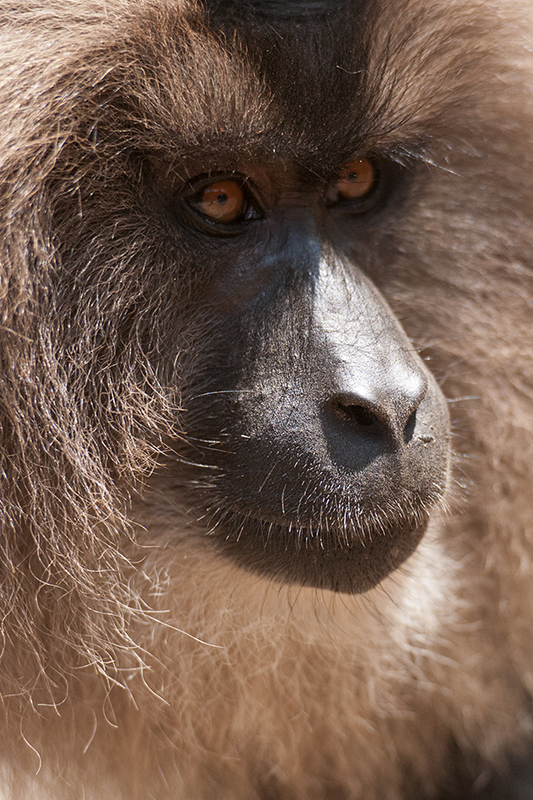 And this close encounter with an Alpha Male Lion-tailed Macaque is definitely the highlight of this trip. We went to Puthuthottam bungalow once again to get a glimpse of the other troop of Lion-tailed Macaque that frequent this area. 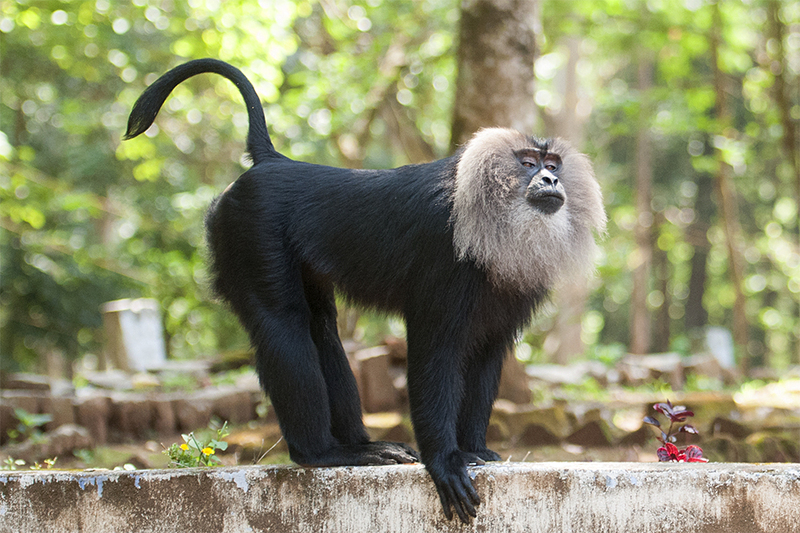 As soon as we parked our car and looked around, we spotted this small troop of Lion-tailed Macaque right next to the bungalow. I quickly setup my camera on the tripod and turned around to notice that the Alpha Male had descended from his perch in the trees to the base of a it. I quickly grabbed my D300 with 70-200mm f2.8 and settled close to him and captured some quick pictures. I zoomed in to catch his intense glare before he walked away to gesture to one of his troop members. 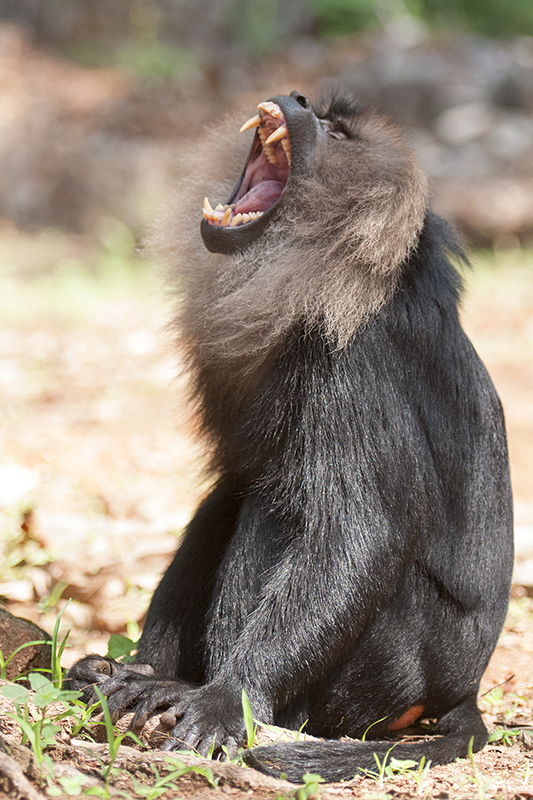 And below is his signature stance with the curved tail that gives it the name of Lion-tailed Macaque. 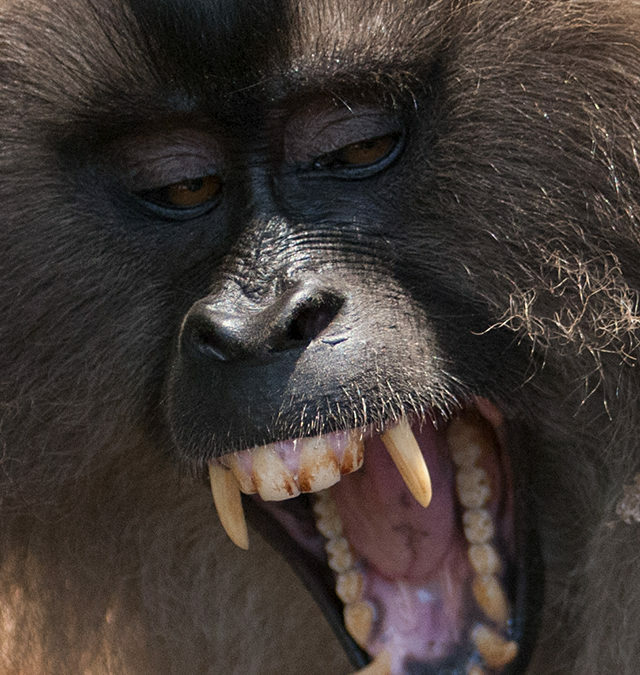 The white coloration on the eye lids accentuates the half-closed eye gesture. As he walked past me, he gave me the snare that I captured as the feature image (first image) of this post. I must say that a snare like that at close quarters does send shivers down ones spine! 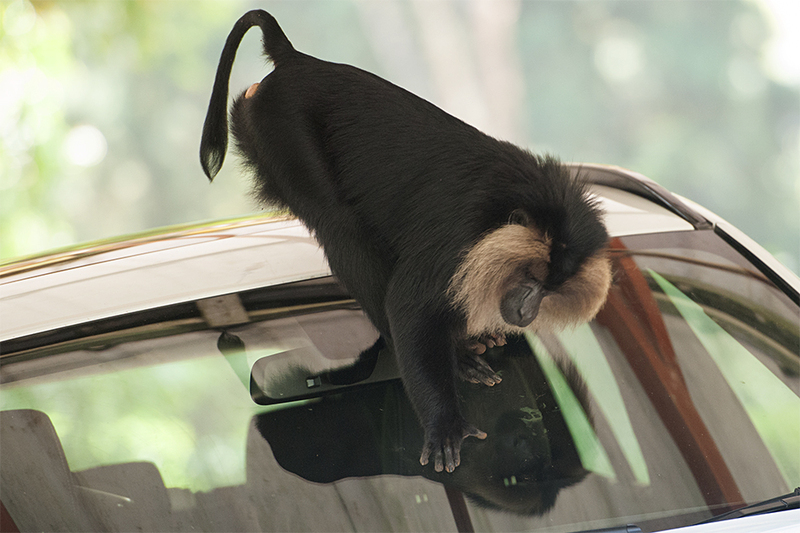 He then decided to use my car as his elevated perch. Soon his reflection caught his attention and that made for a lovely composition with him staring at the car window. And finally as the troop moved away into the plantation, he briefly courted a female in the troop giving me a parting shot.